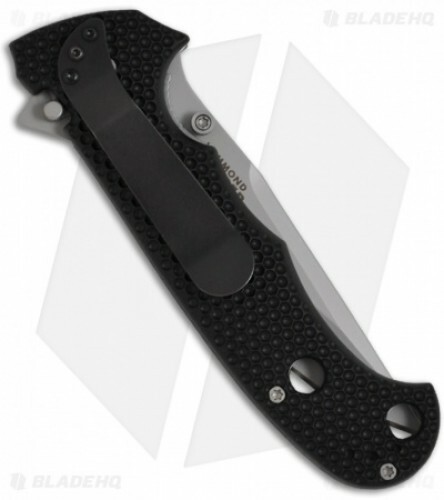 The Hammond Cruiser is a full-size manual folding knife with a solid build and feel. The bead blast finished clip point blade is 1/8" thick with a plain multi-use edge and can be opened with the flipper or dual ambidextrous thumb studs. The honeycomb textured Zytel scales sit atop a steel liner lock frame; both are well shaped for an excellent grip with well-positioned finger grooves. 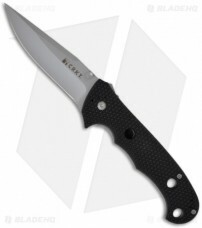 Includes the CRKT LAWKS safety, which turns the folder into a virtual fixed blade. The pocket clip is four-way reversible for left or right handed tip-up or down carry.